You want to use your diesel engine 24/7. Therefore our specialized professionals are always ready to help you anywhere in the world. If possible, repairs will be carried our immediately, so that you can use your engine as soon as possible. 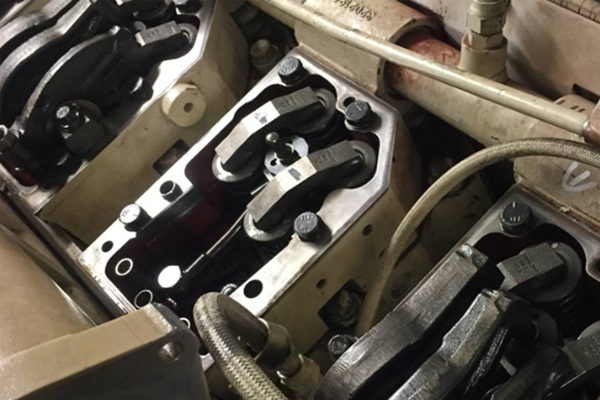 Having your diesel engine repaired? 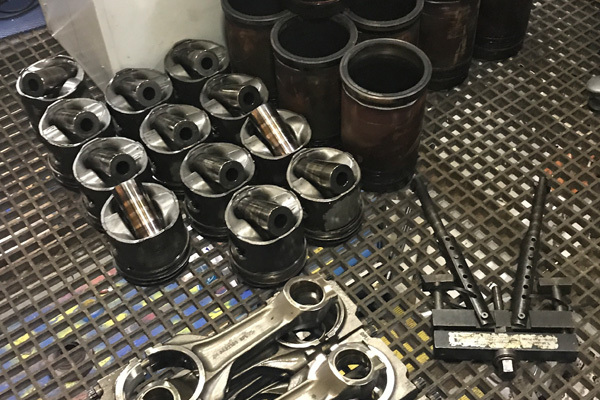 For the Cummins, Caterpillar, Mitsubishi and Detroit Diesel engines, most parts are available from stock, or within 24 hours. Of course we will carry out the repairs with original factory parts. In consultation, on the basis of the findings of our specialists, the extend of the repair will be determined and, if possible, carried out on location. In some cases, the engine will be removed and taken to our modern work space in Dordrecht, to carry out the repair there. In urgent cases we work with a revised exchange engine that we put in, after which we disassemble and inspect the outcoming engine in our work space. After the proceedings the engine will be tested extensively, and this will be reported in a record. DBH Diesel Engines is the reliable partner who thinks along with you, so that, in any circumstances, you will be able to use your motor(s).